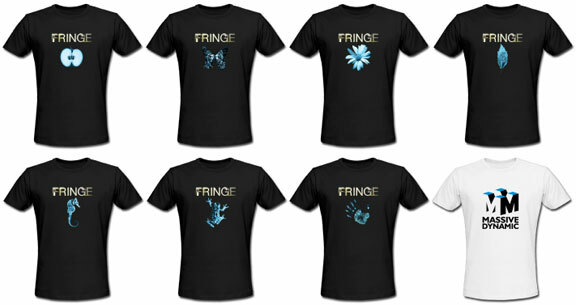 Just in time for Christmas, I've added some Fringe Symbol / Glyph t-shirts to the FringeTelevision store. They are available in men's and women's tees, hoodies, and organic tees. The original Massive Dynamic design is also still available. To ensure delivery before Christmas, orders must be placed before December 18, Midnight EST. Any idea where I can buy these shirts?